SPECIAL INCENTIVES CALL SALES FOR DETAILS! NEW CONSTRUCTION! MOVE IN SPRING 2019! Nestled in the heart of prestigious Novi, Ridgeview is the areas premier new luxury villa community offering low-maintenance residences in an exquisite location. This scheduled enclave is just moments from upscale shopping, dining, entertainment and recreational opportunities. 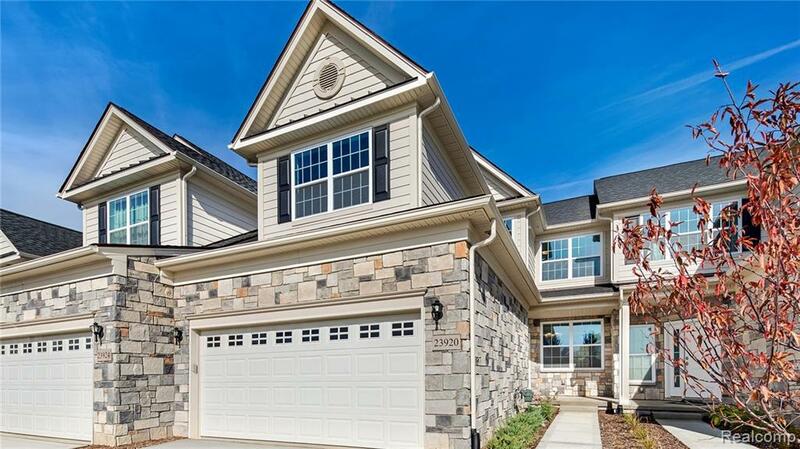 The Pentwater is situated on gorgeous walk-out, wooded lot. The large open foyer gives views into the elegant formal dining room. The well appointed kitchen is open to the large family room. Master bedroom suite features a large walk in closet and luxurious master bath. Bedroom #2 features a cathedral ceiling and Bedroom #3 offers a vaulted ceiling and a walk in closet. This home features a walk-out basement. Pictures are for representational purposes only and not of actual home. Prices subject to change. Taxes are based on current listing price and are subject to change.